You are here: Home / giveaway / Can we talk about giveaways? Can we talk about giveaways? You guys like free stuff, right? I need to do something about the way giveaways have been happening around here. You see, doing a giveaway takes time. A LOT of time. First there’s the initial email exchanges and calendaring and re-calendaring (I’d say about 50% of the people that contact me for giveaways are never to be heard from again). Time. Then there’s posting. I have to search through Etsy shops and websites and save pictures and write and rewrite and edit. More time. And then I have to remember to shut down the giveaway and pick a winner. Still more time. I have to post about that and take screen shots. Even more time. Then I have to try to contact the winner and contact the sponsor. TIME!!! Then I get emails from people who never received their prizes, and emails from people who are mad that there weren’t very many entries in their giveaway…See where this is going? And (not to get all greedy here, but) what’s in it for me? I heard from someone a few weeks ago that was under the impression that I got to keep one of whatever it is I giveaway. And when I do get a “perk” for doing a giveaway, you’ll see it clearly spelled out in the post. I disclose. So, I’ve decided that things need to change. I can’t spend hours each week doing something I don’t love and “endorsing” (can’t think of a better word here) products I don’t believe in and have no experience with. I DO, however, want to continue to give away good products. Especially from my sponsors. They support this blog and I’m happy to support them in return. Let’s talk about giveaways. What do you love? What do you hate? What do you want more of? What do you want less of? How often do you like to have a giveaway? Does the retail value of the product being given away matter to you? What else do you want to tell me? sorry I'm not being very helpful… maybe just make the entries more specific. The winner has to contact you within 48 hours, etc. make it a little easier on you! Am I the only brave one to comment first? Let me just say that I love giveaways, I love winning them too! I love to win fabrics or things that are already created… or a pattern that comes with supplies. If a giveaway asks to do too many silly things, I quickly lose interest and it is because of the time factor. I appreciate the effort and time people put into giveaways. Lastly, I love the surprise when a giveaway arrives in the mail. I do enjoy giveaways but dislike jumping through a million hoops to enter. I also think that some giveaways (like when you get an entry for promoting) brings out tons of random people that are not regular blog followers which increases the "no prize claimed"
But thanks so much for all the time you put into the blog!! I appreciate it! honestly, I love reading your blog for all of the great ideas not the giveaways. The giveaways are ok, but certainly not what I come here for. As someone who has an etsy shop I understand the giveaway idea being advertising and all, but I would never ask someone to do a giveaway and not give them a sample of my product or a payment in return for their advertising services. I agree with Jessica 100%. And if you never do another giveaway… I will still follow you! Love the blog! I love a giveaway. Er, I used to. At some point I got tired of entering and never winning and quite frankly it isn't worth the time to enter! So earlier this year I decided not to enter them anymore. Ok, I do occasionally fall off the wagon and enter. But I digress. I think your blog can stand on it's own without the giveaways. I am not saying never do them…just, when it is important to you. Ya know? Ok I meant earlier last year. he. HEY CHAR! I TOTALLY UNDERSTAND! I AM DOING A GIVEAWAY RIGHT NOW WORTH OVER $250 AND IF SOMEONE DOES NOT CLAIM THE PRIZES ON TIME I WILL BE HEARTBROKEN AND FEEL RATHER SILLY! BLOGGING ALONE TAKES A TON OF TIME BUT HOSTING GIVEAWAYS CAN BE EXHAUSTING! I love your blog with or without the giveaways. I say be true to you. I love your blog, not because of the giveaways, but because of your uber crafty nature and I love to see what you post each week. Giveaways are nice too, but remember this is YOUR blog and your little piece of the blogosphere. Last time I checked, your blog is titled "Crap I've Made", not "Giveaway Clearinghouse and Endorsing Products I Don't Give a Crap About". I am a fan of tutorial giveaways – where another blogger, crafter, etsy seller, etc – they show us how to make it, and then offer up finished project as a giveaway. Then we can enter to win, and make it ourselves also. I think giveaways are fun to an extent. When it comes to giveaways that are not sponsors from your blog I think the person wanting to do the giveaway must give you the same prize. Why should you promote something for free and not get anything out of it? In order to win the giveaway maybe you should only allow those who have an account with blogger to win. That would eliminate alot of people who only want the giveaway but want nothing to do with your blog or the person who is giving the item away blogs. I follow blogs because I found something on that persons site that sparked my interest. Whether it was a tutorial, a recipe, or whatever, I do not follow blogs because of a giveaway. Just like your blog, I followed it because there was something on your site that I loved. To end this post…giveaway or not, I will still follow your blog! I don't visit your site for the giveaways — they're a perk (which I haven't won, but still– the possibility). If they're so much work for you and/or they compromise your beliefs, then please don't do them for companies whose products you don't fully endorse. Or if you DO think it could be a cool product but haven't used it AND still want to do the work to give it away, I think that's fine with a simple "I have never used it, but maybe one of you wants to give it a whirl!" disclaimer. If it's too much work, please don't bother. If people come to your site expecting free stuff, then they can find another site. No worries!!!! I pretty much skip the giveaways. In fact I can't remember the last thing you gave away or if I even entered. I might have on a whim, but really I can't recall. I like reading your blog because it's funny and creative. What I do remember about your site is the pimped out violin for your daughter and the pictures of your boys fighting that left me laughing for quite a while. I agree with the others stay true to you. I never participate in a giveaway that has more than 1 entry possible, because I'm not willing to jump through ALL the hoops to get the 27 extra entries, and I figure that if other people ARE willing to do that, then my chances of winning are slim anyway, so it's not worth the time for even the one entry. Whewf. Long sentence. But the value of giveaways doesn't matter to me-and I only bother entering if it's something I really think is great or cute. Good luck. Are you giving away anything to those who respond to this post? (Just joking!) I love blog giveaways because it seems like their is some chance of winning. Rather than a giveaway sponsored by a large corporate sponsor- which I pretty much never think I'll win. What I really love about giveaways is that is how I have found some awesome sights…and usually if a giveaway is something that is asthetically pleasing to me I assume that the blogger and I (yes even if they aren't the same person) have a similar asthetic…I think of giveaways as an opportunity for the blogger to share things they think are lovely and be a facilitator to share those with the world (maybe that's a little too high and mighty). I agree with Zegi 100%. I stopped entering giveaways because I never won and it seemed like a waste of time. I still read yours and others blogs with or without the giveaways. They do not draw me one way or the other. On the other hand I love the tutorials. I am personally very sick of the giveaways. I subscribe to blogs to find new fun things to make or to gain new information – and honestly more than half of the posts that show up in my feed are now giveaways instead of crafts or information (not from your blog but from all I subscribe to). It is funny that you posted this because I was just complaining to my husband about this very thing this past weekend. I also can't stand how many hoops we have to jump through just to enter some giveaways. I honestly think less giveaways would be better. Less is more :)By the way love your blog! I like giveaways and your blog! I have an etsy shop and I usually do pay someone for their time in putting together a giveaway for me. I recently won a silhouette machine through a blog and have to say THAT made me love giveaways even more! I also don't like when I have a ton of different options for an entry. If I like what I see, I will follow a blog or etsy shop on my own, not because I had to to enter. You could also have those who will do the giveaway pay you a fee and then have them write up their own giveaway so you don't have to Just some thoughts on saving time… Do what your gut tells ya! I read your blog for the creative, original ideas you have. Even though I love giveaways (who doesn't love free stuff), I have never won anything from any site -bummer- but I love your blog and I wouldn't stop reading even if you never had giveaways. Here's a few Ideas I have: have a giveaway once a month if you're aiming to increase interest, give away something you would use yourself, and if possible, get the item for you as well, so it will benefit your blog in the future as well. I also don't think it's necessary to take screen shots of the winner's number generated by the random number picker – I'll take your word for it that #247 won, it's your blog and your giveaway, I should be grateful for the opportunity for something free, not debating your honesty. Have a cut off time for the winners – if they dont respond to your email in 48 hours, it's yours to keep – Sorry winner but it's up to them to follow through on their part as well. At the end of the day, even if you chose to eliminate giveaways, I would happily still be reading your blog, because I come for the tutorials, the ideas, and the creativity, not the free stuff. I love giveaways. I've been lucky enough to win a good handful of great ones, so what's not to love, right!? LOL However, I agree with those that said I do not like having to jump through hoops to enter. If I have to visit their shop & pick my favorite thing, heart their shop, like them on Facebook, like you on Facebook (I happily already like YOU – speaking with a general 'you'), go back & comment on one of my OLD posts for extra entries… those things just turn me off & often make me not enter. Also, I do not like the ones that say to blog/tweet/facebook about the giveaway because, again, as others have said, it only brings out the greedy giveaway trolls. I did a CSN giveaway on my blog back when I was new & only have like 25 followers…. magically when the giveaway came around I ended up with 40 new followers that I will probably never see again because it ended up on the online sweepstakes site. And that's just not awesome. For me, the best kind are the ones where you just reply to the thread and that is your ONE entry. Anyway!!! THANK YOU! I know it's a lot of work to do what you do & I want you to know that this one little mama appreciates you & all your efforts. I've got 4 kids, too, and I cannot imagine finding the time to create a project, document a project, edit a project, post a project & do all the other site maintenance you do… and then to add the work of giveaways!!?? I don't know how you do it all, honestly! But know that I thank you for it! I could not care less about the giveaways. In fact, I've quit reading some blogs because the content is about giveaways as often as not. I'm interested in your blog, projects and ideas, not the freebies. I never enter these things and would be fine if they went away. I do like what Jen said and someone paying you to do their giveaways, though, if you still want to keep them. I stopped entering giveaways long ago. The chances of winning are so slim most of the time. Usually becoming a follower is one of the requirements and I already follow way too many blogs. I'd rather just read an honest review about products. Which brings up the question of how open and honest someone can be if they've been given a product to review…. I'm with most people here- I come for the craft ideas, not the giveaways. I hate the hoops, takes too much time so I'm shocked you've put up with the time it takes to do a giveaway (you're a WAY better person than me!!). So quit the giveaways (I never win anyway hehe), save the time and go eat some chocolate. Mmmm, I may join you! Honestly, half of the time I won't even read a post if I can tell it is a giveaway anymore. Sometimes one will catch my eye and I'll check it out, but most of the giveaways I've seen lately are just nothing I am interested in. When I do enter a giveaway, it's usually when it's just one entry for commenting and that's all I have to do. I'm not going to go "friend" them on facebook or post about them on my own facebook page or any of that to get more entries. That's a huge turn off to me. Giveaways are fun…IF I would ever win, and IF it were actually something I'd use…so most are just a waste of my time! Seriously, I peruse craft blogs for CRAFTING IDEAS, not to enter giveaways. It's a bit of a letdown to see a new post and just realize it's a give away and not an excuse to run to the craft store for supplies! TOO many giveaways in this blogland of ours. If it is something of substantial worth (like the Silhouette or camera lens) I am willing to visit other sites, but for a hair clip or beanie, I don't even bother entering. A giveaway per month might suffice and make your sponsors happy, but you are a craft blog, not a review/giveaway blog. I have only ever given away stuff I've made. That makes it fun for me. And no one is cranky when only 40 people enter! I say get rid of the giveaways. Or have one day a year with a bunch of different products and that's it. Save yourself the trouble. Your blog is fun either way. I am not a fan of all the follow this and tweet that and facebook your mother for an entry crap. I don't have time for that. To us mothers time is too important. I usually only enter giveaways that are simple to enter and are things that I really want. I love fabric giveaways, sillhouette(I am dying to get mt hands on one), stamped jewelry, etc. I agree that giveaways should be of something that you yourself love. I also don't like the multiple entry giveaways. They make you do all sorts of things and it takes a day and a half just to enter to win a pair of hair clippies! I am surprised to hear that you don't get to keep what you review. I thought that's just how it worked – you get something to review, you use it, you write about it, you post it, you keep it. Seems to make sense to me. I love craft giveaways, whether it's patterns, ready made stuff, or fabric, they're all good. I agree with several thoughts already mentioned. I love giveaways but only if they are something fun and exciting or substantial. I know that sounds greedy but it is how I feel. Heehee. Also, I hate when there is more than one entry possible. I don't really blog publicly so that is out. I follow people on twitter but I don't tweet. I am not that interesting. LOL. So if I am going to get one entry versus others' 10 entries, I don't bother. I have never won anything from anywhere but I still love a good giveaway. I say do away with giveaways…I never win, so I don't even bother posting anymore. In fact, since we're all being honest, I skip over the giveaways. Regardless, I'll keep reading your blog…it's awesome with or without the giveaways. I like giveaways where the blogger is giving away something they made themselves. I'd love to win one of the big prizes, like a silhouette or an accu-quilt, but as someone earlier said, they seem to bring out so many people. I don't either bother. I won't follow for an entry, blog for an entry, or tweet for an entry, except on very rare occasions. I sound like a curmudgeon, but I'm not–time is at a premium, and we have to draw a line somewhere. I just found your blog a couple of days ago–ok, not exactly true, I've run across you before, but just now got around to adding you to my feed. Now, I'm savoring your archives! To be honest, I hate giveaways. I barely EVER enter them and I hate seeing them in my reader. The blogs that I follow, I chose becuase of some other type of content I loved about them. And I feel like giveaways are so impersonal becuase they dont tell me anything about you or about the things you create which is the whole reason Im here in the first place. I love a giveaway as much as the rest, but I hate jumping through hoops..its too much work..I love the simple giveaways, just leave one comment and that's it. I end up following blogs I frankly don't have time to read on a regular basis. I am thinking about having a giveaway and think I will just ask for a comment to enter..if someone wants to follow me, I want it to be because they like me and my blog. Just my two cents.. I like giveaways, but no more than one day a week and only ONE entry chance. Following, liking, tweeting, etc. for entries is silly. I will follow a blog just for the entry, but never look at it ever again (I'm disclosing now!). I really don't care what the prize is and I don't mind checking out a store or site and picking a favorite, but I guess quality is a big deal. I've won some things that looked great in the picture, but were crap when I got them. They were free so I'll quit complaining. I, too, HATE giveaways. It wastes my time. I like to read content and giveaways are just fluff posts to me. I don't care if it is a free – I never win things anyways. I also wouldn't believe a blogger even if they said it was the greatest product they've ever encountered, because giveaways / product reviews come across as a bunch of back-scratching hooey. I'm totally fine with you doing giveaways for your sponsors because you do get something out of it, but for someone to ask you to do a giveaway and not get anything in return (except maybe some blog traffic) it's not worth it for you! Oh and I agree with the other folks that said the multiple entry thing is ANNOYING! I like giveaways where you comment once and you're done. I get why you (the general you, not you specifically!) want to direct traffic to your Facebook and Twitter, but I tend to not enter if it's too complicated. I think giveaways are fun, but they aren't the reason I follow your blog. PS I just made your 'flat iron' case==LOVE!! I could live without them. I don't read your blog for giveaways. I read them 'cause of you silly! I even get a bit disappointed that you have a post and it ends up being another giveaway. I'd rather you spend your time and energy on being creative and sharing it with us! Do whatever you want to do, Char! Personally, I rarely apply for giveaways because I have to jump through a bunch of hoops. I think if you wanted to do one occasionally, it'd be fine! I'm sharing the thoughts of many other posters. Giveaways every once in a while are fun and I think show some love for your followers. However if they're too much work for too little reward (both sides) then skip 'em! just keep being yourself and doing your awesome crafts and I'll keep coming. If they are complicated, don't do it!! you totally need to get a product of your own. you should never endorse a product without getting one for yourself to try out. i think one giveaway per week is good, starts on a Monday, ends on sunday at midnight…you pick the winner monday morning, post it and post a new giveaway. i think the more expensive the item the better and the more entries you will get. i also like it when giveaways are just ONE comment, not comment for this and that and liking my FB page and following some other blog, etc etc etc. i just want to comment once and not have to do a bunch of steps. i think the sponsor should get some hits to their site so i think the requirement for entering the contest is to go over to the sponsors site and find another product (that's not mentioned in YOUR post) that they like and come back to your blog post and comment on that item leaving their contact info. the person should either have a way to contact them, in their blogger profile or leave an email address. there's nothing more annoying than picking a winner and then having them never check your blog. if you email them that they won, they SHOULD be able to receive that email and contact you with their address, etc. anyways.. that's how i would do things(and how i do them when i have a giveaway) be sure you get something out of it. it's lame to not. you deserve something for your time. you're too nice. I am very new to blogging…and yours is one of the first I followed before I was a blogger! I think just keeping up with my blog is exhausting. I can't imagine how hard it is to keep up with these giveaways. If you want to do giveaways for just your sponsors…You GO girl! 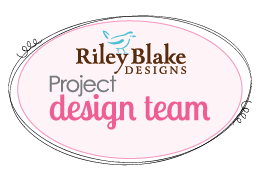 I follow your blog because you are funny, interesting, and have awesome project ideas! I think it is fair to only offer sponsor giveaways. It does sound like a lot of work, thanks for all the effort you put in for us (including all the other stuff besides giveaways)! giveaways annoy me. i don't think they get the person doing them any more traffic except to enter the contest, and not always then. it doesn't help me learn about a product or anything. if you X them, that is fine with me. You're blog is awesome just the way it is, giveaways or not. Giveaways are fun, but I agree that some requirements for an entry require an arm and a leg. You should of course continue with your sponsors because you know that they fully support you, and that you support them. I think that it's also nice when the giveaway is from you- everyone LOVES what you make and are inspired by your work. :0) Thanks for this blog! I don't know if what I'm saying has been said or not but here it is. I love your blog and i find it super inspirational. I would be super happy to win a tutorial and materials for it or the finished product to have of my own. I always get hyped up reading your fun crafts and then loose steam when it comes to actually doing it. So getting something of yours would be even better!!! Giveaway or not I will still be a faithful reader and appreciate all the time you put into this blog! I am not a fan of giveaways, and not just because I never win them! I don't really like having to scan over the fluff giveaway posts to get to what I came here for in the first place: great ideas and your cool writing style. Plus, I think Macy is probably the coolest 10yo I've ever seen (just don't tell my 10yo). I'm probably going to upset some people saying this, but I hate when the only ways you can enter a giveaway are through promoting. I only have a Facebook account to keep in touch with family and friends, so I'm not going to "spam" them by updating my status about a product. I don't have an account with MySpace or even Twitter, and always feel bad when I can only complete one entry when another person has 5 entries just by updating all their statuses. I am willing to check out Etsy shops, follow blogs I like, heart Etsy shops I want to look at again, etc. but I really think a giveaway should be just that–without a lot of hoops to jump through. I LOVE giveaways, but only enter the ones I want to win. As far as which giveaways to do, I would say to allow the ones you would want to win yourself. You could make it easier by saying there must be an email address attached to the poster, or even that they have to be a follower. I think it's fair to only have giveaways for your followers since we're the ones supporting/ commenting on your blog. When you said, "What's in it for me?" I completely agree. I'm all for helping shops, but with the amount of giveaways you do, you'd think that people would offer you some type of product as well. People can get just as much exposure sending you something to review. As for giveaways on YOUR blog, I rarely enter them because there are so many people entering. I just feel like it takes too long to not win, ha ha! Of course SOMEONE has to win, but yah…you really do a lot of giveaways, which is super nice of you, but I agree, you should get something out of it or just cut back:). Honestly…and when have I not been honest…I hate giveaways and I steer clear of blogs that have them all the time. I want to see content. Ideas I can steal…urm…use. I come to creative blogs to create. If you gave away a Silhouette once a week I would totally dig that, until I won one and then you could quite the giveaways. The more giveaways a blog has, the more likely it is to get deleted off my reader. I like simple. A simple way to enter. No "extra entries if you go here, here and here and then stand on your head…" But that's just me. I don't really love giveaways, to be honest, and I think even one a week is more than enough. I have to say, if you did one a month that would be fine by me! I like reading for inspiration, not to get free things. I am a very regular reader, though an infrequent commenter… And I have to say, the giveaways to me are kind of ‘meh’. In fact, there have been so many in the blogosphere lately, that I’m beginning to miss the folks that write the blog! (does that sound weird? That I ‘miss’ someone I only know through their blog? Hmmm… ) I read you for your humor and your great ideas (and your absolutely gorgeous kiddos! But, I digress….) , not for the giveaways. If it’s that much work? I say can it, unless you reeeeaaaallly care about it. It’s not like you don’t have enough to do! I've only skimmed the comments, but it seems I'm not alone in saying I'm sick of the "hoops." Like Kimberly right above said, I want simple. I don't want to have to Tweet, and blog and FB and hire a skywriter all to get extra entries. I enter very few giveaways because I refuse to do all the ridiculous extras that seem to be all the rage. I'm sure the argument could be made that I'm too lazy to deserve to win, but I'm clearly not th only one. It sounds like most of your readers and I are of like minds. We read your blog for you, not the possibility of a giveaway, and when there is a giveaway one entry per person is the way to go (no hoop jumping). The last thing I would say it that to offer a giveaway as incentive to get votes for some contest the blogger has entered seems like cheating to me. I think it's okay to ask followers to go and vote for you, but to say something like "two entries into the giveaway for voting for me"…etc. is wrong. It's like stuffing the ballot box. My two cents. Thanks, Char, for all you do! I do giveaways on my blog as well and it does take lots and lots of time and it can get to you when your doing it and you don't enjoy it. And I can only imagine if your not getting review products in exchange. I say that you should only do giveaways for the products that you really like or need and make sure you get a review product in exchange. And, possibly only do a weekly or monthly giveaway, you can only do what you can do. Only do it if you enjoy it. I just have to say an "Amen and Halluluja" to all the comments. You MUST change your policy to require some form of "in kind" or "cash" payment for your efforts to host a giveaway. Your blog is wonderful, you have great followers, and you worked hard to get it to that point, getting something for sharing all that with the giveaway sponsor should be part of the deal! I like fewer give aways, just my 2 cents! This is just me, but I don't even pay attention to 99% of the giveaways. I enter the Silhouette ones (along with 300,000 other people) but just about everything else gets ignored. I don't even read the post most of the time. I would rather give you more time for crafting and tutorials! I love giveaways about kid stuff and home decor. But I still really like your blog! I love your tutorials more than anything! Maybe if you want to keep something up on your blog, you could just have one day where you show some links to your 5 favorite giveaways or something… That way it takes away the hassle of picking winners, follow-up, etc. But people here would still love you all the more for helping them find the bestest giveaways in craft blogland that week?? Here is what I think…I think you should make the people who want to do giveaways on your blog more responsible. You should have them provide you will all of the details about their business/blog in an email, along with pictures they would like to include in the giveaway post. I think that would help with the "time" factor. You could also include some kind of disclaimer that if they don't provide all of the information you have requested…then there will be no post! I mean because really, YOU are doing THEM a favor, so let them do some of the work. As far as giveaways go in general…I think the simpler it is the better. I mean, I'm sure there are always those people that will do all 10 things to get 10 entires, but there are also those who think, "OMG…I don't have time to do all of those things,and if I don't do all of them and get the maximum amount of entires, then I have NO chance!" I personally don't mind becoming a follower or a facebook fan because if it's a prize I'd like to win, then it's probably a business or blog that I'd like to follow anyway. Hope that helps! I rarely even enter the/any/your giveaways because I'm just that lazy. Plus, I'll admit to being slightly bummed when I click on your blog to see yet another giveaway entry. I want to see YOUR crap! There. I said it. CHAR, If you are getting paid to write the giveaway, then don't do it. I HEAR YOU LOUD AND CLEAR on the time that giveaways take. If you still want to do giveaways, make the person who is doing the giveaway write the post. And you edit it. Give the same guidelines to every person, make them submit it a day or two before the giveaway so you can reject it if it is crap! Make them revise it if it needs a lot of editing. If I were you , I'd charge to do giveaways because they do take A LOT of time. I have two prices for giveaways. One if the person writes it and the other if I have to write it. Good luck! I meant to write "if you AREN'T Getting paid" in the first line! Whoops! Also, just do one or two entries per person. Glad you asked…way too many giveaways lately…and too few crafts!! The only thing I remember from the past couple of months is giveaways and vinyl, vinyl overload. I miss the old projects and tutorials!! Love you though, and I enjoy your humor. I didn't read through all the comments so sorry if I repeat myself and you might not even get to my comments because you have so many. Could those who want the advertising that comes from a giveaway be more involved in the work of a giveaway? Also-I would drop most of the giveaways-I know you and you don't need all that extra work. I rarely enter giveaways, and if I do, it has to be something that I've at least heard of or would benefit from that I can't purchase myself. Like the sillouette machine. To be honest, I'm probably never going to buy one, but if I can get it for free, that would be awesome! HOWEVER, I hate having to jump through the hoops to enter. Back when 'everyone' was doing sillouette giveaways at the same time, I entered on everyone's blogs with all entry options and still didn't win. I seriously entered like six giveaways for the same dang product with at least 4 entries on each blog. And I didn't win. So what was the point? I also think that it's borderline unfair. What if someone doesn't have a facebook page? One entry less for that person. Or if they don't have a blog? Same thing. I think that if you continue to do giveaways, you should stick with a one entry per person system because it levels the playing field a little bit. Also, if it's a product that I'm really interested in, I will go and research it for myself. You shouldn't have to do all that leg work for me. I think you should just say what the giveaway is and why *you* would/do use it and why it made *your* life easier. We can figure out the rest for ourselves with a simple link. If we're (bloggers and blog readers alike) tech savvy enough to follow a blog and/or write one, we also know how to click on a link to look at a product rather than having to rely on you to do that work for us. That all being said, if you didn't do giveaways, it would not stop me from visiting your blog. I really don't care about them. I prefer to read your tutorials and see your ideas. But definitely, if you do a giveaway, I think you should be compensated for your time and it should always be a product that you endorse! As far as time frames and opening/closing giveaways, I think the shorter time frame the better. If you leave it open too long, it's probably easier for you to forget to close it. I hate when I enter a giveaway (which is a rare occurrence in the first place) and it's open forever. I loose interest and end up not caring at all. Who knows, maybe I've even won some that I didn't know about because I stopped caring. Also, set up a time frame for acceptance of the win and if that person doesn't contact you in time, oh well. The next person gets it. You shouldn't have to hunt people down to accept a prize that they supposedly wanted in the first place. If I may get on my soap box a little bit more, I think there is a certain amount of 'blog etiquette' that needs to be learned and adhered to. Things like giving credit where credit is due when using someone's projects, etc. This whole giveaway thing falls into that I think. You started your blog as a way to have an outlet and share *your* ideas. If you choose to showcase someone else, that is your prerogative and you should be rewarded for your time and the advertising you're giving to someone else. Okay, descending from soap box. I didn't think I was going to write that much! I actually don't like when blogs do giveaways…but that is because I don't ever enter them. I usually just scroll through the blog post about the giveaway until I get to a post with "substance." That being said, I would probably look at the product you are giving away if it was one that you actually used or knew someone that did and thought it was an absolutely wonderful product…I think it has more credibility that way. I also think the less giveaways you have make the giveaways seem better, or more exciting. One blog I "follow" (rarely now) has giveaways ALL the time and it makes me not want to read the blog because it seems disengenuious that she endorses EVERY company that contacts her. Honestly, I'm not a huge fan of the giveaways. And when blogs have too many giveaways, it turns me off. I hardly ever read those posts and never enter, because what are the chances that I'm going to be the 1 person who wins the little prize out of 263 people who enter? (The chances are probably 1 in 263, right?). Anyway, I generally don't waste my time even reading the giveaway posts, let alone entering them. (Although, I might skim through the photos to see if whatever is being given away is worth checking out on the sponsor's blog or etsy site). And I think to make things easier for you, you should only allow giveaways from your sponsors. It IS a lot of time for you to put the posts together and this way you benefit from the sponsor agreement and they benefit by getting extra publicity. well, I don't ever win anything (and not just here), so I don't really care if you do away with them entirely. I usually only enter if I think it's something great. That doesn't mean expensive, either. I hate it when I have to become a "follower" of something (beyond subscribing to a blog's rss feed) or "like" it on facebook, or tweet about it, because all of those things require me to sign up for something I don't want or give my personal information where I don't want it. It bugs me when you get extra entries for those things because it puts people like me at a disadvantage for not signing up for more stuff. I get that those things help promote the business, but isn't the giveaway already promotion? If it's a great product, that in and of itself should entice me to look into where it came from. I love giveaways where everyone just leaves one simple comment. That seems more fair to me. I don't sign up for giveaways I'm not interested in, and I hope other people don't either. If it were me, I'd probably only host giveaways for my sponsors, because shouldn't you get something for all your work? Or at least you should get the same thing to try out and then you can host the giveaway if it's something you feel good about promoting. i am in the opinion that giveaways are okay every once and a while but if a blog has too many than i think it takes away from them.I think they are trying to get numbers to look better not based on content. with that said i love your site and think if it isn't working out for you dont worry about we will all still come! i love every give away I win, which is none. wish I had a reason to love them all! My daughter, BadAmyKnits, over there on Etsy and Ravelry, has the same issue. She gets a bit of PR out of the deal, but that would be all. I kinda like just having a place to swap IDEAS instead of stuff. Unless, of course, the stuff is delivered by 6 bombastically handsome men, who will then proceed to clean my house for me, whilst I sip champagne. If you can arrange for a giveaway like that, count me in. Otherwise, just more stuff for my IDEA SWIPING FILE! Love you crap by the way. Did I ever mention that before? Really, I do. Oh, yeah, half-nekked bombastically handsome men is even more better!! I love your blog for its content. I don't even pay attention to the giveaways! Thanks for this – I never knew what all this giveaway stuff was like from 'your side of the line'. That definately sounds like a lot of work. Would it be good if those that want to do a giveaway on your blog sent you the item and let you do the planning, opening, and closing on YOUR schedule? But maybe also being in charge of sending would be a hassle, but at least you'd have control of it's arrival and avoid the 'where is my stuff' issues. So of course my big gripe is I never win them!! Ha! But I second others who've expressed that I tend to turn away when there's WAY too many things to do enter – the instructions for entering should be like 3 sentences – not a million hoops to jump through. Also, once the entries have hit more than 200 or so when I discover it, I tend to not enter because I figure I really won't win now with too many entries. I don't want to spend my time entering for something I'm less likely to win. So yes, I'm MUCH more likely to enter a giveaway if the requirement is just one simple entry and everyone just gets one entry. I like that. WOW! What a hot topic!! You already know my take on doing free giveaways and how often to do them! I say one day a week tops! I don't want Ucreate to turn into a giveaway blog, but I do love promoting others with awesome products! I agree with Michelle @ Someday Crafts 100% on this one! So fun to see everybody's take on giveaways…fabulous market research!! First, I love your blog and the ideas you share. As far as giveaways, I like them but hate the extra entries. I only do the ones that ask for one entry. I don't think "like/following" someone just to win a giveaway when you haven't tried a product, etc. is right, IMHO. To me it is just false advertising because I am going to like you if I like your product not to win. You do an awesome job and don't do something that you don't enjoy or ask for a sample for yourself before you endorse. Not a big fan of giveaways either…I have entered a few on a few blogs, however they usually get glossed over. I actually deleted a TON of blogs on my reader that do more than one giveaway a week. No thank you!! I agree with one person who said if you do them, please make it simple and one entry only.so sick of All the ways you can enter. And like someone else said… I'm here to see your crap!! Thank you for asking! You are the first blog I've seen do this. I like entering giveaways and I love winning stuff. But that's not the reason I read and follow the blogs I do, and I'm not going to stop following those if they stop doing giveaways. I don't care for the ones that you have to jump through a million hoops to enter though and I won't do all those unless it is something I could never purchase myself, like the Silhouette, oh boy did I spend some time entering those. I used to do all that when I first started blogging but it is too time consuming. I don't read blogs simply for the giveaways, however I have found some amazing blogs and Etsy shops from giveaways sponsered by other blogs. I read blogs for inspiration and I love tutorials! But I do think if you offer a giveaway, you should be compensated for it. You are giving that company/blog/Etsy awesome advertisement and putting quite a bit of work into it, so you should be "paid" for it somehow.. I like you blog regardless of giveaways but I do like giveaways. I like the chance to win stuff since I am a new quilter/crafter. Also it is a good way to find new places to go to. I have gotten to the point where I will only enter once, all the hoops takes too much time. You dont need to do lots of giveaways for us to keep reading! Do what works for you. One thing I've learned: We can never please ALL of the people ALL of the time. Keep up the good work and thanks for your honesty! I just started blogging recently (crafty stuff and possibly soon to come "A day in the life of a veterinary technician" (maybe) I haven't participated in giveaways but I would like to. But if it is so much trouble that it isn't worth your time maybe you shouldn't? Or maybe you could make it so you also receive a nice free goody. Anything you decide, I will still read your blog. Thanks for all the great ideas! I hate entering giveaways where I have to go to a hundred different sites and then come back to post a comment. I hate trying to figure out how to "earn extra entries". SIMPLIFY! Now, I have also done many giveaways/reviews of my products with other bloggers, and my perception of this is almost the same thing! What I wish is that the reviewer would just post small items about me or my business more often, add a link with photo on their side bar (near the top!) and call it good! People do not want to spend hours trying to enter a giveaway! Ok, that's my rant for today. Thank you for opening up the discussions about this-excellent! After reading your post and leaving my humogeous comment I just found this article out there in blogland and it really fits your subject! Thought I would leave you the link, I'm going to print it for myself to refer to when I do giveaways…again, thanks! As someone with an Etsy shop trying to promote their business I always assume that I will send something to the blog owner as compensation for their time in writing the post. That would help you with only endorsing products/businesses that you like. I do like when people have chances to earn extra entries by liking my Facebook page or hearting my Etsy shop. I do giveaways so that hopefully I bring more customers into my shop. If they don't have links to find out more about me then how do they shop from me in the future? Honestly, I don't like giveaways. I read a blog to learn new techniques or to get ideas or for patterns that others may have developed. I find that the giveaways actually take away from the blog but that's just my opinion. I stumbled upon your site a few weeks ago, and I just love it. I don't enter the give aways…I don't really even pay attention to those things. I like YOU. I enjoy your creativity and your humor. A few months ago, I went through cancer surgery and I had to do some revamping my thinking. I used to be a crafter/creater/artist, and somehow I kindof lost my way a bit. I decided I would once again start creating. I get so much joy from all of that!! You help me to get those creative juice pumping and, well…BLESS YOU! Do what allows this to be fun for you. Thank goodness for this post!!! I have to say I am so ultra burned out on giveaways. I think i've maybe entered one and it's because it didn't involve me having to "tweet" about it, and "facebook" about it and "blog" about it, and selling my first born to even have a chance at it. I'll be honest, i'd rather just go buy the dang thing than deal with the giveaway. I miss the day's when I could just blogstalk people for their craftyness and not have to read post after post of giveaways. So, not to sound ungrateful about free stuff, but, ok, i'm ungrateful! I'm so over giveaways. BUT…..I DO LOVE your craftyness x a bagillion! I like giveaways, but not too often. What I HATE is a giveaway that has 42 ways to enter. You know the ones…..follow me on twitter, like me on facebook, go clean dog poop out of the yard (2 entries!! ), sniff my shoe, etc…. I get all confused. I just want to leave a comment and have a chance to win. I come to your blog for the posts not the giveaways. An occasional entry is fun, but when I start reading about the 14 different ways to enter giveaways and places to visit, my eyes glaze over. Frankly I don't even know how you do your giveaways. I seldom pay attention to them. Holy! I really had no idea all the work (headache) involved with a giveaway. What a hassle. I agree with many who have commented before me, the reason I am here over and over again is not for a giveaway. In fact, I too usually don't enter giveaways because ENTERING has become such a pain as well. "Do this", "Do that", who has time for all of that? Keep the tutorials and the stories of real life coming and I'll be back over and over again. I totally agree with you!!! Especially before Christmas I got so freaking sick of seeing giveaways that I would just skip them. And that's not what the sponsors want right? I say giveaways can be fun but maybe just less of them overall! I haven't done very many giveaways lately and it's been such a huge stress reliever for me! I hate the pressure of being on top of everything because it's for someone else…and that's not why we do our blogs right? It's for us! I say giveaways should be like once every few months and they should be big! Like a group one…although as a sponsor I wouldn't be down for losing the spotlight. But maybe the sponsors just need to plan fewer giveaways with bigger prizes that get more attention, ya know? It's so nice to hear honesty. I love it. You're awesome and make me laugh on a daily basis! you have a great blog. Giveaways are fun, but I say don't do them if they cause you too much stress. If you do want to do one occasionally, it should of course be something that you personally endorse…I do like "finished" stuff though, or patterns or stuff like that…not parts of something or things that you need something else to use! hahaha! Oh, I'm SO happy to read this post. Can I be totally honest and tell you that I was kind of getting sick of the giveaways? When a blogger I follow just does them occasionally, I actually pay attention and usually enter because I know it's something that they personal endorse. So I'm down with the new plan – less giveaways! Especially if that means we get more crafty awesomeness from you. I come here for the content/projects/ideas (which rock, btw), NOT for the giveaways. In fact, I really do not enter any giveaways. I get kinda annoyed by the blogs where every other post is one. But if you are taking that much time to host a giveaway, I would think you can (and should) ask for compensation. Keep up the great work! I love your blog… it always makes me smile. I think you already know what you want to do, you are just looking for a little validation in doing it. However you want to change it is A-OK with me! I am new to your blog and I've enjoyed it and your sense of humor! I think everbody likes a giveaway, but its kinda like the lottery, only one winner and the chances are slim. Maybe fewer giveaways and good, honest, quality blog content are what really bring people back for more. Thanks for all the goodness and light! I love your blog for the "crap" you've made! I love tutorials and new ideas. Give aways everyonce in a while are ok but only if they are simple for both of us! I would much rather enter for something you are familiar with like a Silhouette. I also really appreciate the discounts and deals you offer for that! I wish I had more ideas of what to do with it…..then I would SO buy one! I know it is a lot of work to evaluate a product. And it is also a lot of work to coordinate a giveaway, even if it didn't require the extra work of an evaluation. I love that you are willing to do this and to share all the insights you do on your blog. this helps to inspire me and to introduce me to so many wonderful products that I had never heard about, or never understood how they could help me create. So for this, I want to thank you. I love your blog & hardly enter giveaways myself but I know that with my blog, I have a lot of things that I have whipped up for tutorials that eventually we end up changing/not needing…why not do a big giveaway at the end of the year giving away the "crap" that you no longer want/need? I'd *love* to win something made by you! Yo creo que una de las funciones de moda es la localizaciÃ³n satelital en tiempo real, puesto que ayuda a proteger a nuestros seres queridos al conocer dÃ³nde estÃ¡n, esta funciÃ³n es Ãºtil a cualquier persona, principalmente cuando sabemos que es un imÃ¡n para delincuentes. I love your blog, whether you do giveaways or not. I will still be here to read. As far as what I like in giveaways though, I don't like having to jump through hoops for them. I don't minds doing a few things to help bloggers out because I understand that helps them be able to do more giveaways (i.e. follow on google, facebook, twitter). The things like tweeting 3 times a day or that sort of entry just seem to overflow the number of entries and make it harder for regular readers to win. Hope that helps. So, can I do a giveaway? Just kidding. I know they are a ton of work. I actually started something new on my blog this year. If I have to write up the post, I charge $5. (Unless they are giving me something to try.) Or they can write the post up and just give me the code, no charge for that. I think it will make my life much easier. I agree! Giveaways are a LOT of work. You have built up a great following because of your hard work. You should be able to feel comfortable asking for them to pay you or give you a product in payment. You will be sending a lot of traffic and sales their way that they would have not gotten had it not been for your review and your followers. I also only do giveaways for things that I actually honestly like too. I don't like to "endorse" a product that I myself would not buy or use. You have a great blog and I think most people are here for you and your creativity…not the giveaways! I didn't realize this took so much work. Well, I only enter if it's something I would love to own AND if I don't need to do tons of things to qualify. I agree that you should get something of equal value if you promote a "giveaway" unles it is one of your sponsors. I would read your blog with or without giveaways. Love your CRAP, Don't like to jump through hoops, Don't love alot of giveaways (just occasional), really not necessary to post "random number generator", think you're silly and love it! I agree with everyone else. Love your blog and would read it regardless of the giveaways…. I don't care to jump through all the hoops to enter and usually if it is not really, really easy, I won't enter. Thank you for all the work and love you put into your CRAP! Oh and what do I hate?? That I haven't on a single stinking giveaway on here! LOL!! I tire of giveaways on people's blogs. I have never won anything, so i spend little time entering them anymore. The only ones I do enter are the 'everyone gets one entry by leaving a comment' kind of ones… and then i don't really care how you pick the winner, if it's random, or the person with the best picture, or worst grammar, or ugliest dog or what… it's your giveaway for heaven sake! But really for all the time that goes into it, I think very pew people are atracted to your blog for the giveaways… and when you do toooooo many giveaways, I think it bogs down the other GREAT content you have on here. I appreciate the giveaways you do, but would be just as content with a scaled down version or without them entirely. I totally get where your coming from. I like your blog for YOUR blog! It makes me sad something when I see a clever cute mommy kinda blog that has turned into NOTHING but a giveaway blog. I am someone who loves a good giveaway and having done some myself (or working on them, they are scheduled!) I know how much of a pain they can be and what I did was pay the blogger extra the month that they are putting a giveaway up, because it takes one of their posts and extra time. I also gave them product to sample so that they could do a product review and I made sure it would be stuff that they would use. I also just let them take care of the entries, it is there blog not mine so I don't care how the winner is picked or how many entries they get etc. I haven't been following your blog for to long and so I don't know if these are things you already do or not, but they are my two cents. I hope you can figure out what you want to do! Thanks for the awesome blog! I am on the fence about giveaways. Hey, its great to win something (not that I ever have after months of entering), but on a lot of blogs it is simply bloggers that win each others stuff. I am not against anyone making money or promoting/advertising their blog, but for those of us non-bloggers following a blog everyday, maybe purchasing from an etsy shop, or just getting some enjoyment from a blog, taking time away from the blog for a giveaway that you may or may not actually have the opportunity to win is disheartening and frankly a waste of my time. I also agree with others that have said entering here, there, everywhere, follow me here, there, everywhere is too time consuming. I just don't have that luxury. Anyway, just my two cents (not that anyone paid me for it!!). I love your blog and will continue to read each and every post!! I personally do not care for give-away posts. Sorry, just keepin it real!! To me, they get in the way of craft tutorials or ideas that I find inspirational. Also, many blogs (not necessarily yours) ask for your email address in the comment….I'm not comfortable putting that out there for others to see. I'd rather come to your blog to read, enjoy, and get inspired. I'm not really a fan of give-aways – UNLESS they're absolutely amazing (hello free Silhouette). Honestly, there are so many give-aways on all the crafting blogs I read that I now just skip all of them. I just want to see crafts and tutorials!! And I never win anything so I gave up long ago. I agree with what every else said. I love your blog and I'm not going anywhere even if there are no giveaways. I'd rather read about interesting and creative things than wait around wondering if I get free stuff, it makes me feel greedy and I don't think I'm a greedy person! I appreciate all the creativity you put into your blog and have no idea how much time you must commit to it. Life is too fun to waste time. I love your blog and would read it no matter what. I rarely enter the giveaways because I figure the odds are stacked against me and I tend to forget about them once I enter then anyway. Some of them do require too many steps, especially if I'm going to other websites and/or being asked to sign up to pay for a monthly subscription. Your blog is awesome, I've had a blog for over a year now and it isn't awesome. I spend a decent amount of time on it so I can't imagine the kind of work and time you put into such an awesome blog. I'd much rather see crafts and tutorials than have to skim through the giveaways to find the heart of the blog. I like the idea of giveaways, however I never win… so I only enter REALLY good ones with prizes I really want- fabric, silhouette. As far as following blogs, I do it for the tutorials and ideas, not the giveaways. There are a couple of blogs I have actually stopped following, because there are too many giveaways and not enough ideas. You should definately get something for doing a giveaway! to expect you to promote a product for free is really unfair to you. I will follow your blog, regardless of your giveaways! I love your ideas! I like to follow blogs that offer inspiration and wonderful craft ideas. Being completely honest, I am getting turned off to a lot of blogs that I follow because of all the giveaways and all the linkys to other blogs. Because my time as a reader is valuable too, I am seriously considering deleting many blogs that I have followed for too long because they seem to have lost what attracted me to them in the first place. You should do (or not do) what you feel is right for you and your life. I just saw this so I am posting late. But I say you can definitely charge for giveaways. We've paid to do giveaways and make it worth your while. Although, charging for a giveaway AND requesting product to review, plus the actual product to giveaway makes it really pricey for the attention given to the shop. Honestly, I think just reviewing products works as much charm as a giveaway. And you get stuff! Whatever you end up doing, I will still follow! You are my idol. Oh and I also like to enter giveaways with only one entry. And I usually enter for things I just don't have the energy to make myself. I don't sign up for as many giveaways anymore. I see the value and have appreciated finding new blogs/ideas, etc because of them though. Perhaps someone should just create a blog that's specifically giveaways for people wanting to promote themselves and their items. I think the best give-away I've received is inspiration…and I don't have to sign up for it!!! Just a thought but instead of you actually "running" the giveaway perhaps those offering the giveaway could do that actual work. You could publicize the giveaway and ask that the person entering go to the giveaway web address and use CRAP as thier code to enter or something such as that. The giveaways are fun but I totally understand as to why anyone would not want to add to thier already busy schedule. No worries I will follow no matter you decide. I'm here for the tutorials and the fun stuff you post. Giveaways are nice but it's not the reason I'm here. Also, if there's a product I'm not interested in, I won't bother entring. And if it's something that's interesting but the requirements are too demanding I'll drop it too. I'm not going to add a blog to my giant list that I'm not interested in, for example. But in any case, I appriciate your work and feel sad that you don't get something out of it, because IMO you should. Can I just say that I LOVE your blog!! Can I also say that I DON'T like giveaways? To me they are uninteresting and annoying. I tend to stop following blogs that offer a giveaway every day, etc. There are so many great blogs out there and your's is one of the best! Sheesh. Who knew so many people have something to say about giveaways. Since we've talked about this a bit, I initially started reading your comments. However, you are far to popular and I have given up. You know how I feel about giveaways – no one comes here to try and "win" something. They come to see all of the wonderful "crap" you have made. I also think you should charge for giveaways…more than the $5 I've seen suggested. I love your blog with or without the giveaways, but I agree that because a giveaway is work for you and is, in essence, advertising on a site that you have put a lot of time into building up, it would not be greedy or unreasonable at all to charge – I'm thinking anywhere from $25-$50 is very reasonable and is the going rate for these things. I have never ever ever ever won any blog giveaways. I do enter sometimes but often it just seems like SO much work ("like this on facbook," for one entry, "follow some random blog" for another entry) that I have kinda given up entering them for the most part (since I never win anyway) so I say unless you are getting something REALLY good for yourself….bag em. You know… There's got to be a better way to do this… I get so tired of so many bloggers giving away stuff but loosing their content. The reason I come here is you, your writing, your neat way of looking at a craft. So, what if you could give away stuff WITHOUT all the hoops? Seems to me you should write about the stuff you love, and you are able to do a giveaway – bonus! Also, why would you do giveaways without compensation?? I wouldn't work for an advertising agency/company for free unless a friend or family member owned it. Just thinking out loud… What if, instead of all the hoops and nonsense you do giveaways to commenters from a date-certain that you and the company agree on? The "date certain" wouldn't have to be a giveaway post. The post could be about the product's website (go there, pic something, comment) or it could be that you ask your commenters for feedback on the product. For the readers there may or may not be a giveaway, you wouldn't publicize it, on purpose… It seems that kind of system would pay off for you AND the company. You would get more readers, and comments, because people would know there was a chance they'd get picked in a surprise giveaway and they'd likely tell friends, and those friends would be more likely to want the same kinds of stuff (better targeted audience). It seems this kind of setup would give the company a better idea of their target market's thoughts, some feedback, and airtime re: their products from the excitement generated if there is a giveaway. I KNOW the companies want people to talk-up their products, but people will if they love the product or it's idea. You don't have to get people to false-market the product via twitter. etc. Frankly, I never do it. I figure out who might like it that I know, then I tell them about the product. Then again, I don't do hoops. I'm not a trained dog, even though advertisers seem to think so. I agree with most of the comments above, I'm going to stalk you with or without the giveaways…they are kind of like a nice door prize (not the main event). I do NOT like tons of entries, or mandatory like the sponsor, because a lot to the giveaways that I enter are for products that I'm not familiar with but would like to try. I'm partial to product that make something easier, and recommended by someone who tried it and liked it (especially if it's featured in a clever tutorial).